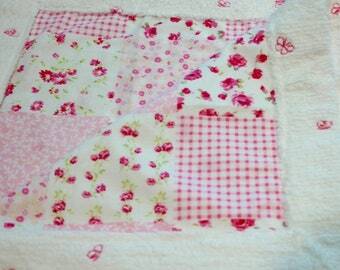 Handmade baby blankets any family will treasure! Announcement Welcome to Baby's Little Treasures! A store started by a mom of triplets who is looking to generate some income for her three college bound kids. We make handmade baby blankets, burp cloths and banners for gifts and celebrations (showers, birthdays, holidays, etc). We hope you like what you see, and if we don't have what you're looking for, we might be able to custom make it for you. Welcome to Baby's Little Treasures! A store started by a mom of triplets who is looking to generate some income for her three college bound kids. We make handmade baby blankets, burp cloths and banners for gifts and celebrations (showers, birthdays, holidays, etc). We hope you like what you see, and if we don't have what you're looking for, we might be able to custom make it for you.